In summer temperatures often pass the triple digits and anyone without a functioning air conditioner is apt to be thoroughly miserable when the mercury rises. Air conditioning systems are a marvel of the modern world, and here in Los Angeles, CA, they’re absolutely indispensable. But as much as we depend on air conditioners in Southern California, comparatively few people understand how the process works, particularly when it comes to the refrigerant gas at the heart of the process. If you know how refrigerant works in an air conditioning system. You can better understand how and where an air conditioner requires repairs. To absorbs a great deal of heat when it shifts from liquid to gaseous form it’s clever to use a refrigerant. 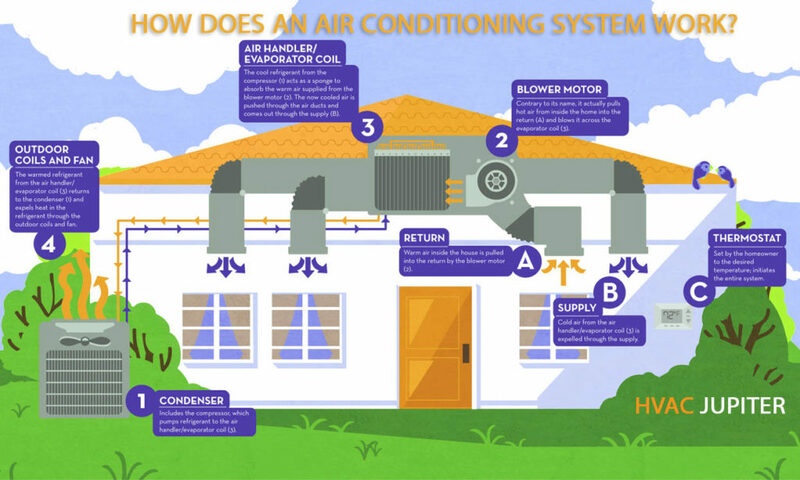 The AC system takes advantage of that phenomenon by carefully controlling that process. The refrigerant first passes into a compressor array, which subjects it to a great deal of heat and pressure, then into a condenser array, which cools it into a liquid form (though it is still under a great deal of pressure). All the process usually takes place outside your house. It creates a lot of excessive heat which can be conveniently dispersed into the outside air. Where the cooling takes place with the refrigerant now in a high-pressure liquid form, it can then pass into the evaporator coils. A valve releases a set amount of liquid into the coils, which shifts into gaseous form as it pulls heat from the surrounding air in the process. The cool air can then be blown into your home with a fan while the gas returns to the condenser and compressor to start the cycle anew. Any kind of hiccup or breakdown can disrupt the process as it relies on mechanical precision and exact measurements. When that happens, turn to an expert service provider to make Air Conditioning Repairs with courtesy and care! 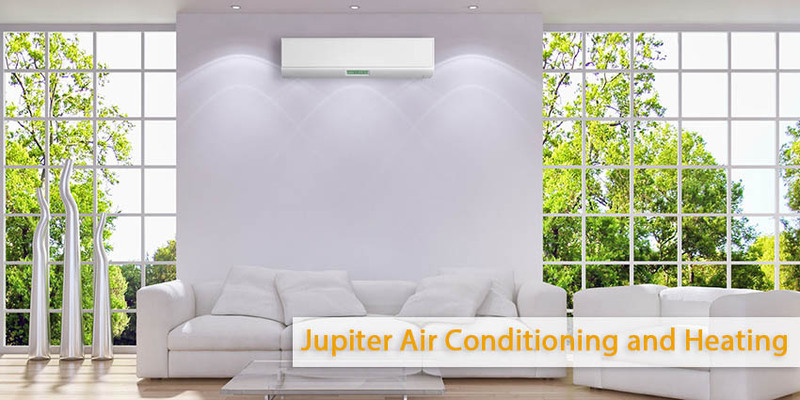 Call Jupiter Air Conditioning and Heating today.